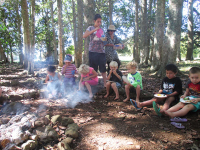 As a small private centre on the outskirts of Whangarei with access to old growth forest (The Wild Woods), much of our children's learning takes place in Nature. Rather than 'cotton-wooling' them, we allow them to find their own challenges as we believe children are their own best risk managers! 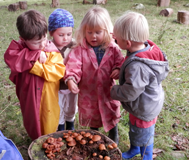 Open Spaces Preschool is a 'nature-rich' learning community. Come along for adventure and fun the way it should be!